Many of ILevel’s clients have just returned from fabulous holiday trips and family gatherings, and their phones are full of precious photographic memories. Our staff of professional picture hangers has been hard at work helping clients create gorgeous family photo walls showcasing these holiday treasures. 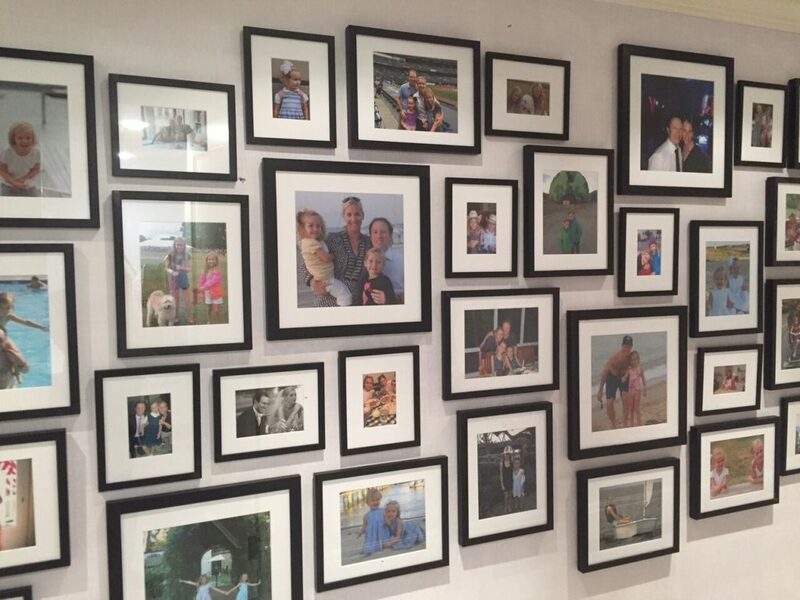 Here’s a peek at three family photo salon walls designed by ILevel for clients in New York City. Overwhelmed by the awesomeness of all of your photos? We can help you select the best shots, and choose proper sizes. For this client, ILevel created a multi-story photo wall across two floors and up the stairs. Once you’ve selected your photos, we can take care of the printing and framing. This wall is held together with black frames, and the variety of frame sizes and shapes creates interest. You could try this at home, but it’s not as simple as it looks. ILevel’s professional picture hangers specialize in creating beautiful arrangements and will install them safely on your walls. The longer you wait, the more likely your photos will stay in your phone and not make it to your walls! Call 212.477.4319 or email info@ilevel.biz to get started on your family photo wall with ILevel. ILevel is New York’s leading art placement and picture hanging service. With over two decades of experience, we bring expertise and professionalism to the installation of all types of art. Visit our Studio to see our curated collections and create a Family Photo Wall.